The START International TDA080-M Electric Heavy-Duty Tape Dispenser with Programmable 5 Length memory automatically dispenses & cuts most types of tape up to 3.15" (80mm) wide. Originally introduced by START International, the TDA080-M is an ideal industrial-strength dispenser for high-volume production lines and operations requiring repetitive taping. 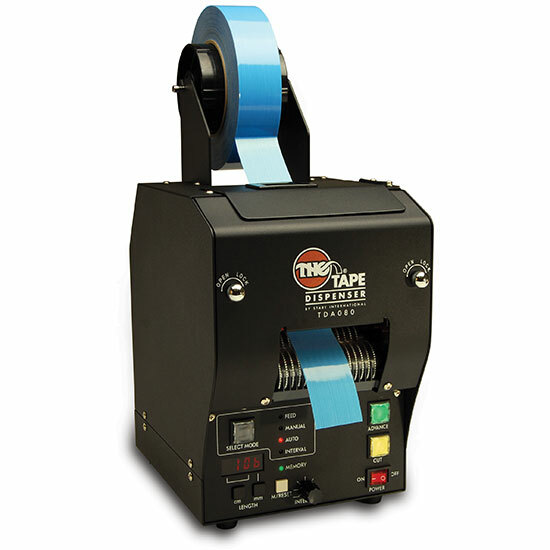 The TDA080-M can store up to 5 lengths into memory for easy, automatic dispensing of multiple lengths. 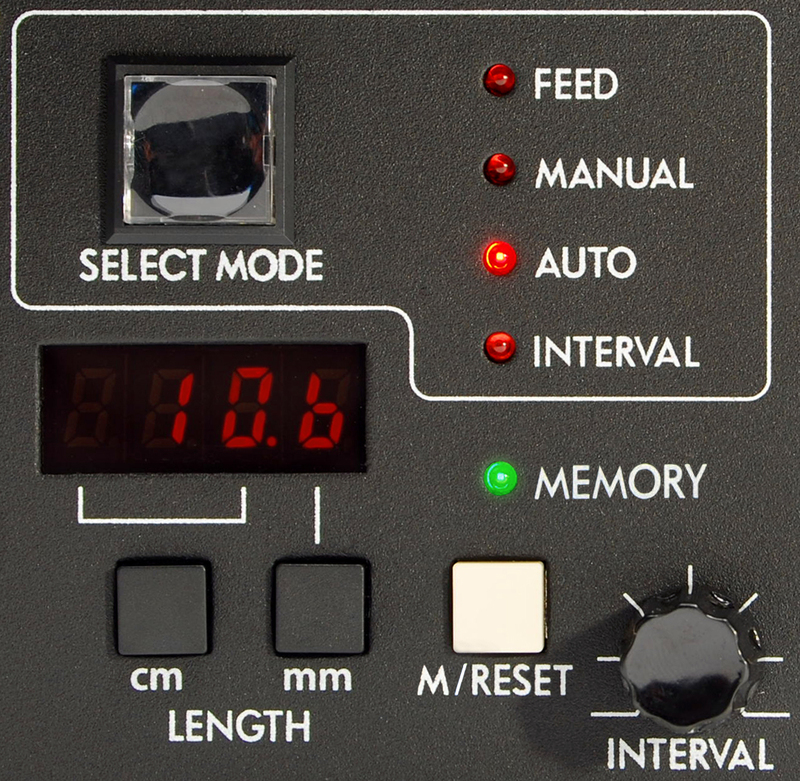 4 Modes of Operation: Manual Feed & Cut, Manual Feed/Auto Cut, Auto Feed & Cut, and Interval Feed & Cut. 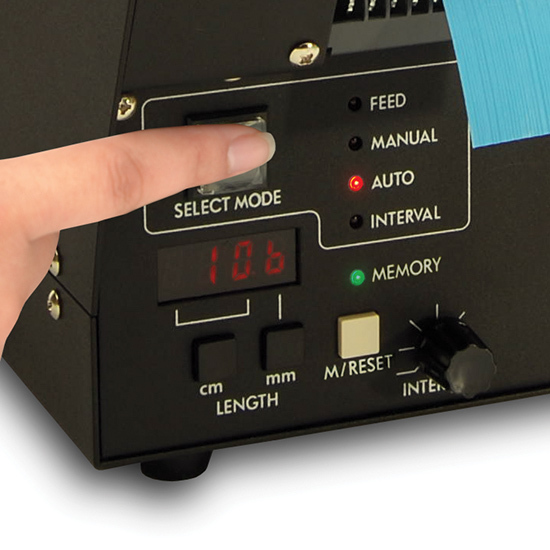 Quickly and easily program a desired length digitally and the TDA080-M will precisely dispense and cut with accuracy of +/- 1mm. The TDA080-M comes with a 3" (76mm) core. Optional foot switch (TDA080PFS) is available.